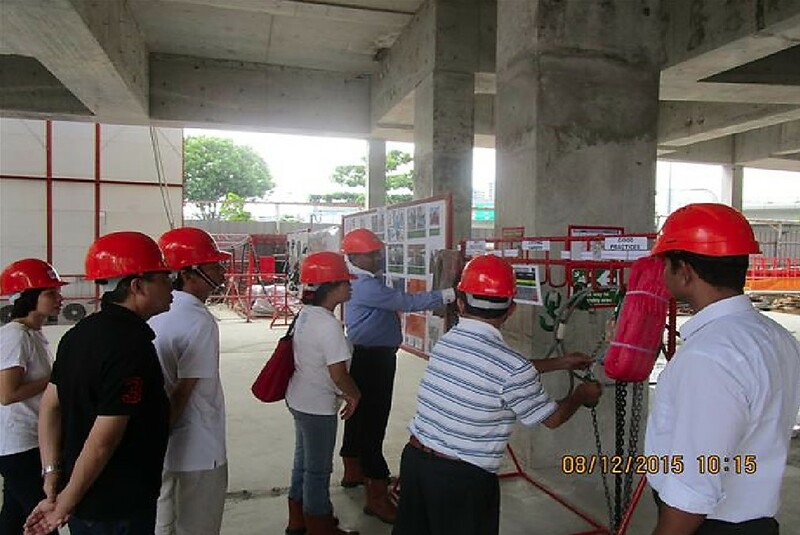 Mandatory use of safety harness for PPE and use of ladders with handrails, platforms, mobile elevated working platforms (MEWP), and scaffolds as tools in all high level operations. A-frame ladders are banned on site. 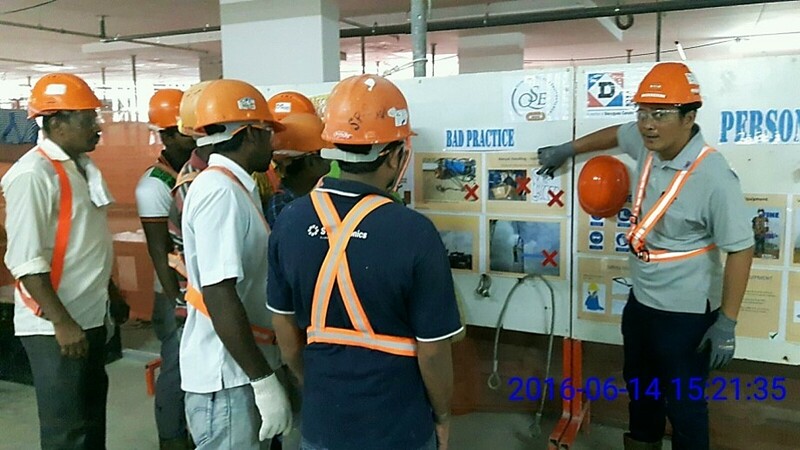 DSPL conducted a Safety Promotion Week in June 2016 in cooperation with the Singapore Contractors Association. 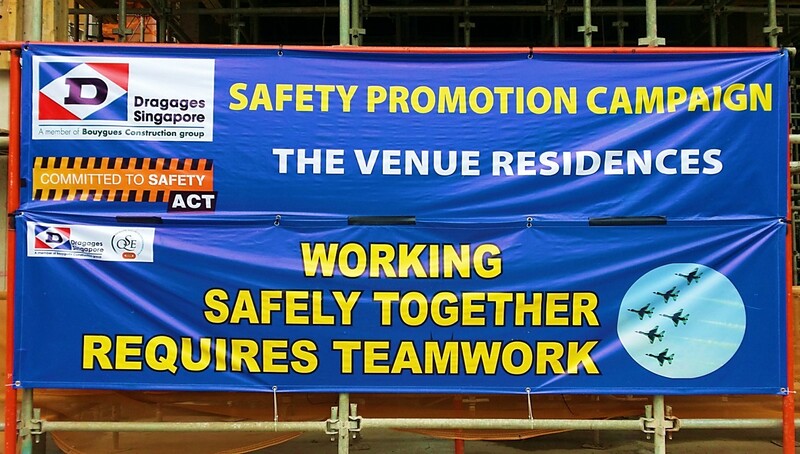 All active sites, New Futura @ Leonie Hill, Woodlands Crescent Nursing Home , and The Venue Residences and Shoppes participated in the campaign. 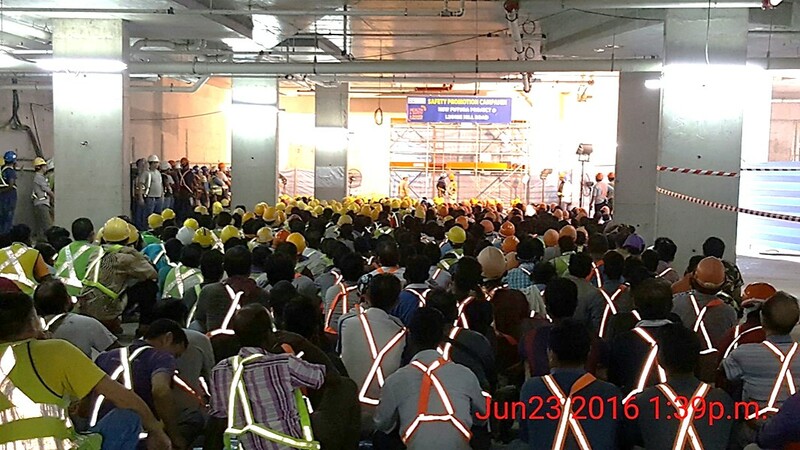 The week-long event included safety talks, trainings, exhibitions, drills, quizzes and site walks. 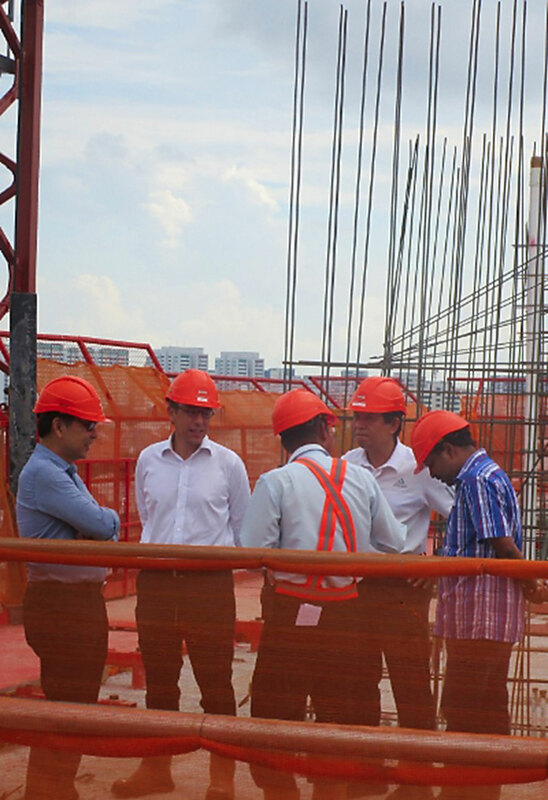 DSPL constantly holds site visits showcasing our good practices for the authorities, institutions, and international councils or organisations. 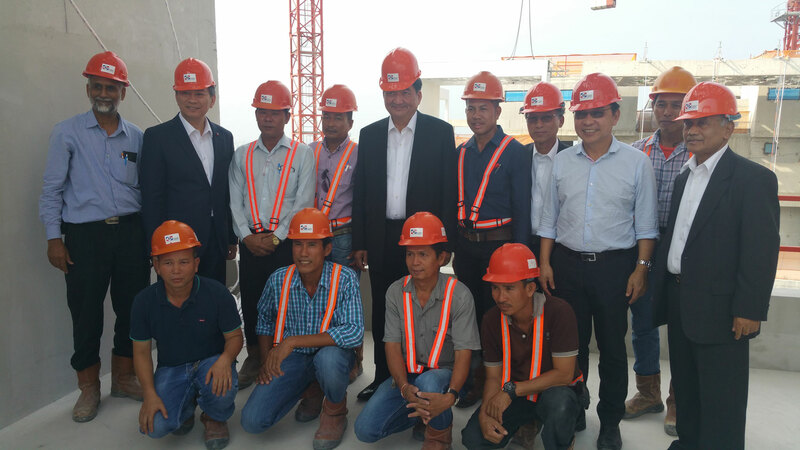 Under the new Management and with the guidance of the improved Bouygues Construction Safety & Health policies, Dragages Singapore formed a Corporate Safety & Health Committee helmed by the Managing Director as its Chairman. 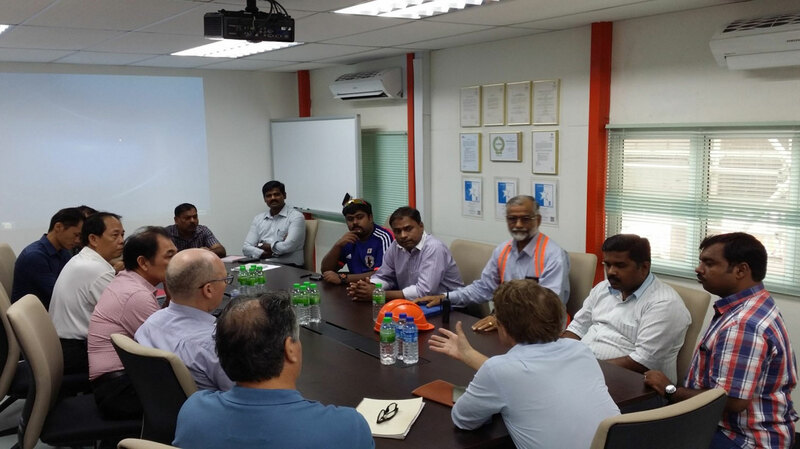 The main purpose of the committee is to review the safety performance of the projects as well as to provide a platform where safety-related issues and good practices can be shared among the teams. 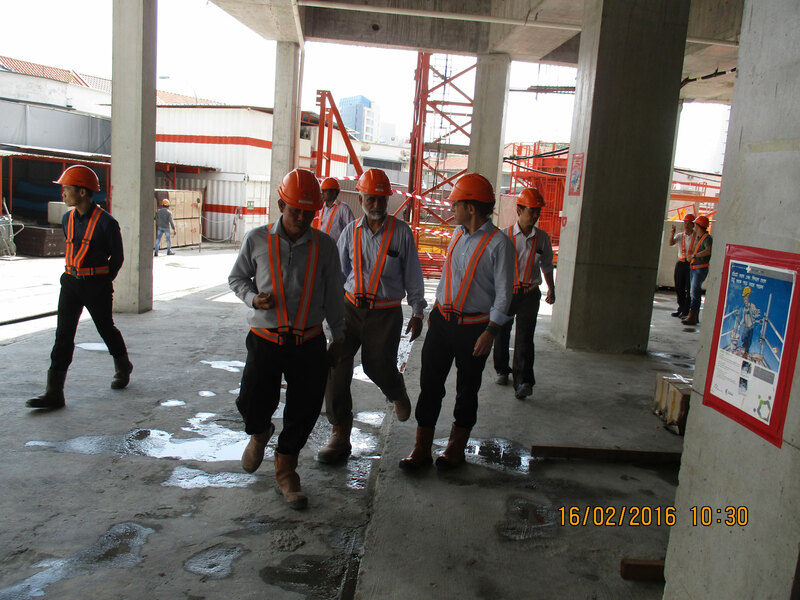 A site walk is conducted at the beginning of the meeting followed by the safety presentations prepared by each project. 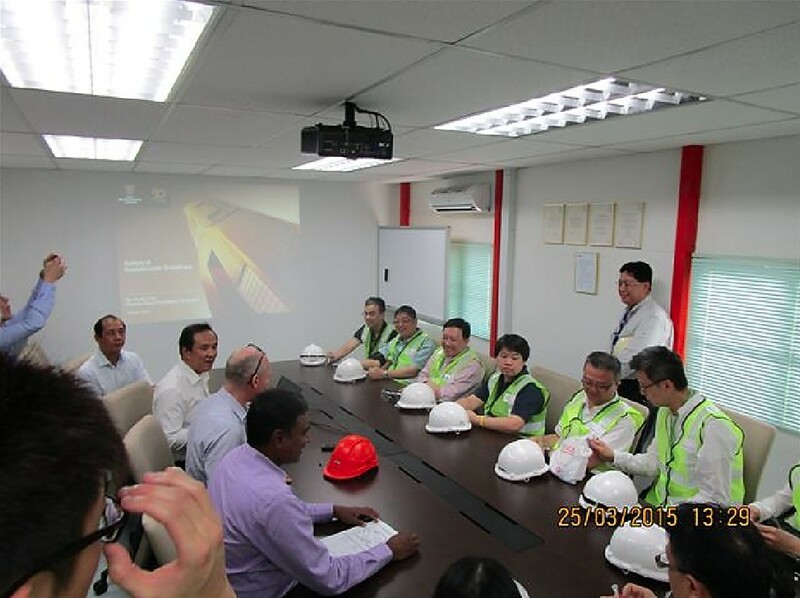 The Corporate Safety Committee was officially launched in the first meeting in February 2016 at The Venue project. 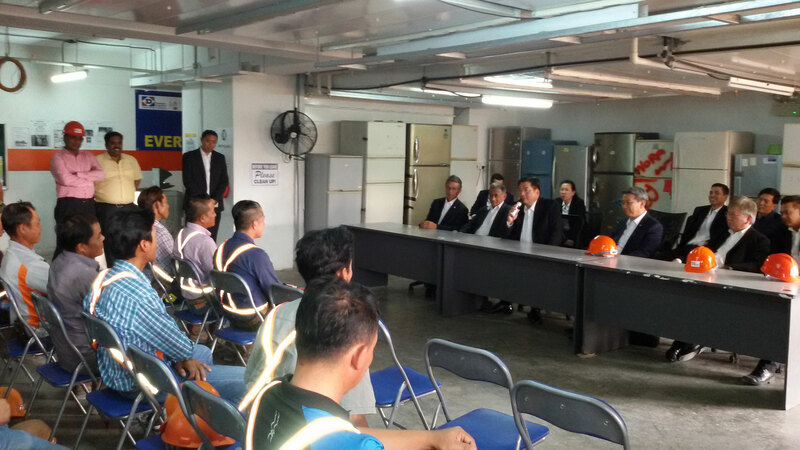 The 5@11 safety time-out system requires all site staff and workers to stop any work and activity for 5 minutes at 11am and leaders/foremen supervise their workforce to check and give a brief feedback on his findings during the exercise. Throughout the 5-minute time-out, everyone is expected to do checks on themselves, their co-workers and their surroundings for any dangerous conditions and safety lapses. 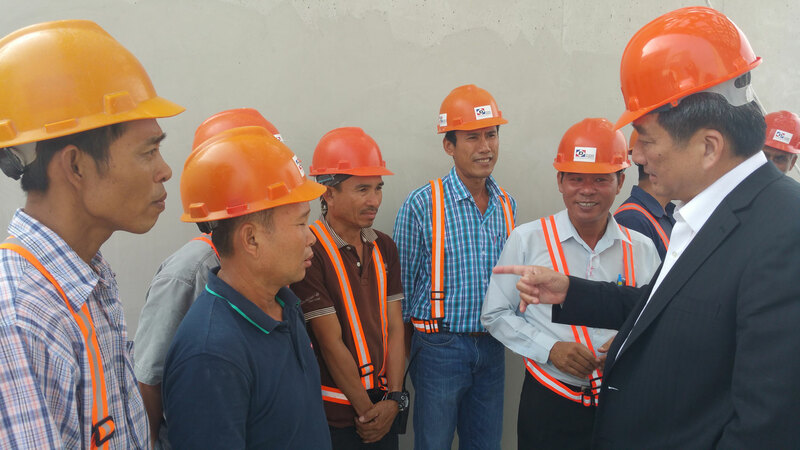 The Safety Team, together with the Supervision team, are stationed at different locations on site to get a bigger picture of the implementation. 5@11 was first implemented at the New Futura and The Venue Residences and Shoppes projects, both being at the peak of production. 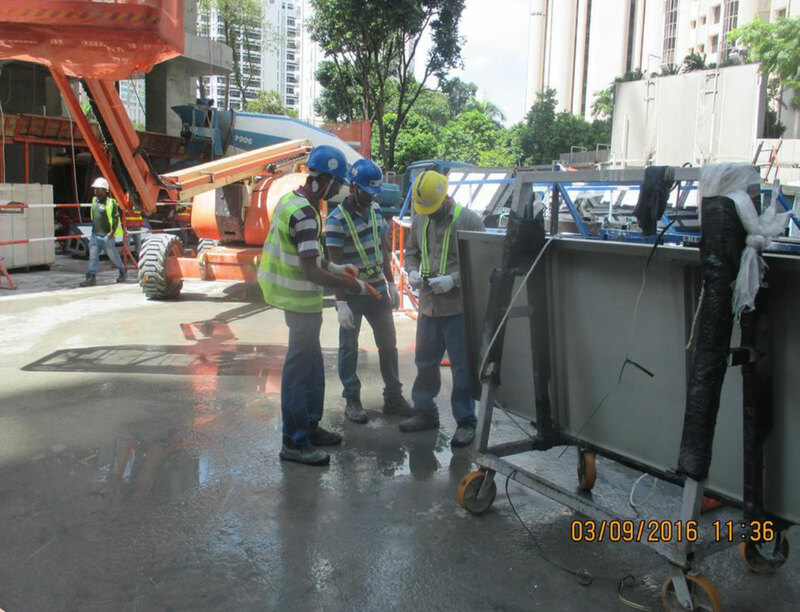 Feedback on the initial execution of the system was positive, with some commenting that there was a heightened sense of safety. 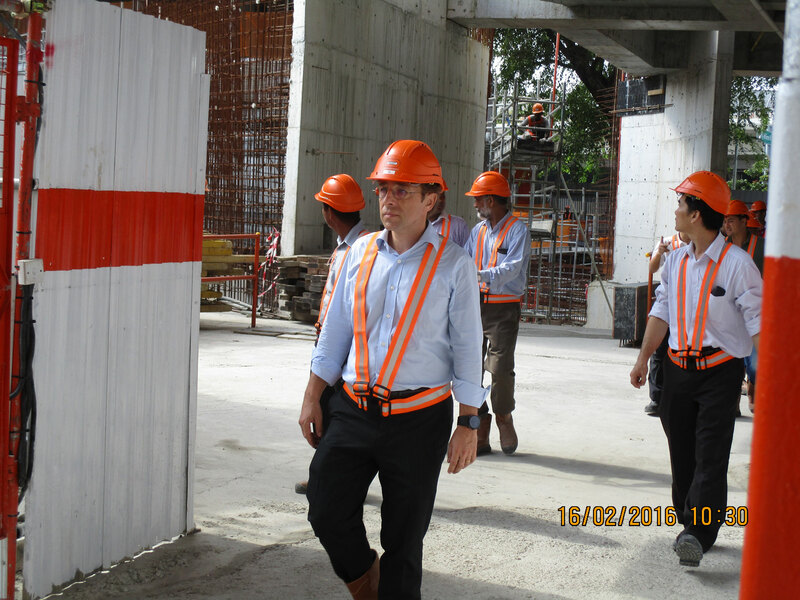 The newer projects will implement this initiative as well.